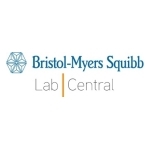 NEW YORK & CAMBRIDGE, Mass.--(BUSINESS WIRE)--Bristol-Myers Squibb Company (NYSE:BMY) and LabCentral, an innovative, shared laboratory space designed as a launch pad for life-sciences and biotech startups, today announced that PanTher and Suono Bio are the winners of Bristol-Myers Squibb’s Golden Tickets for LabCentral. As a platinum sponsor of LabCentral, Bristol-Myers Squibb can select up to two innovative life-sciences and biotech startup companies per year of active sponsorship for “Golden Tickets,” which underwrite the cost of one lab bench for one year in LabCentral’s Kendall Square facility. A pre-clinical-stage company, PanTher Therapeutics is working to revolutionize the treatment of inoperable, locally advanced solid tumors − studying the direct delivery of existing, already proven chemotherapy agents directly onto the tumor for consistent, slow release over time. The company designed its novel delivery method to potentially eliminate the toxicity and debilitating side effects that chemo agents can produce when delivered systemically through traditional IV or oral administration. Its first potential indication is pancreatic cancer, a particularly lethal disease that affects more than 53,000 Americans annually, where excruciating symptoms arise from the primary mass invading nearby vital organs. By changing the route of administration to target just the tumor, PanTher is designed to increase the amount of drug reaching the intended destination with the aim to enhance therapeutic efficacy. Eliminating adverse outcomes may also help to lower healthcare costs. Pancreatic cancer accounts for about three percent of all cancers in the U.S. and about seven percent of cancer deaths. A privately held company, PanTher is completing pre-clinical studies prior to initiating human trials and exploring opportunities for partnerships to expand its product pipeline. Suono Bio, a preclinical stage company, has developed breakthrough technology − the “SuonoCalmTM” system − designed to potentially enable ultra-rapid delivery of therapeutics across tissues, including the gastrointestinal (GI) tract. Preclinical studies have demonstrated that the ultrasound-based technology can deliver small molecules, proteins, and nucleic acids locally and systemically, validating further study of the SuonoCalm system. Designed as an easy-to-use device to enable patients to self-administer medication at home, the SuonoCalm technology may also be applicable to a broad set of conditions outside of the GI tract. A 28,000 square-foot facility in the heart of the Kendall Square, Cambridge, Mass., a biotech innovation hub, LabCentral is a first-of-its-kind shared laboratory space designed as a launchpad for high-potential life-sciences and biotech startups. It offers fully permitted laboratory and office space for early-stage companies comprising approximately 125 scientists and entrepreneurs. LabCentral provides first-class facility and administrative support, skilled laboratory personnel, a domain-relevant expert speaker series—as well as the other critical services and support that startups need to begin laboratory operations on day one. A private, nonprofit institution, LabCentral was funded in part by a $5 million grant from the Massachusetts Life Sciences Center, with support from its real-estate partner, MIT. Founding sponsors include Triumvirate Environmental and Johnson & Johnson Innovation. This press release contains “forward-looking statements” as that term is defined in the Private Securities Litigation Reform Act of 1995 regarding the research, development and commercialization of pharmaceutical products. Such forward-looking statements are based on current expectations and involve inherent risks and uncertainties, including factors that could delay, divert or change any of them, and could cause actual outcomes and results to differ materially from current expectations. No forward-looking statement can be guaranteed. 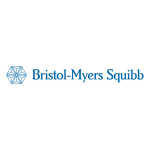 Forward-looking statements in this press release should be evaluated together with the many uncertainties that affect Bristol-Myers Squibb's business, particularly those identified in the cautionary factors discussion in Bristol-Myers Squibb's Annual Report on Form 10-K for the year ended December 31, 2015 in our Quarterly Reports on Form 10-Q and our Current Reports on Form 8-K. Bristol-Myers Squibb undertakes no obligation to publicly update any forward-looking statement, whether as a result of new information, future events or otherwise.